Home » Private Student Loan Forgiveness: Is There Such a Thing? If you're on this page, you probably don't need to be reminded that student debt is a huge problem in the United States today - especially private student loan debt. While most of that debt is held by the Federal government, a substantial portion of it is held by private banks and other private lenders like the student loan refinancers SoFi and Earnest. Statistics are always changing, but it's estimated there is about $100 billion in outstanding private student loan debt. And while some borrowers take out only a few thousand dollars in private loans to cover any expenses Federal loans won't, others end up with a heavy private debt burden ranging from $20,000 to over $200,000. Federal student loans are hard to get forgiven, but at least some programs for loan forgiveness, like the Public Service Loan Forgiveness program, do exist — even if it's hard to qualify for them. For borrowers with private student loans, though, it's somewhere between difficult and impossible to get loans forgiven. Here's what you need to know about private student loan forgiveness. Why Is It so Hard to Get Private Loans Forgiven? Is There Any Way to Have Private Student Loans Forgiven? It's because private lenders don't really have any incentive to forgive them, basically. The Federal government does want its loans repaid, but it's also a little more responsive to pressure from constituents, and it does want people to go into public service and teaching — hence the loan forgiveness programs directed at those borrowers. Private lenders don't really care what you do with your education as long as they get paid back! And since private lenders know borrowers likely won't be able to get their loans discharged in bankruptcy, which would be another kind of "forgiveness," they don't have any reason to offer any kind of forgiveness or modification. That doesn't mean they won't work with you at all (see below), but it does mean that they're most likely not going to erase any of the debt as part of that plan. The short answer is yes — but don't get your hopes up, unless you're in a specific circumstance, most of which are pretty unpleasant. Specifically, the borrower's death. This is pretty rough to think about, but many private loans do have terms written so that the debt will be forgiven upon providing proof of the primary borrower's death. If you're a co-signer on a loan and the primary borrower dies, you'll need to consult the terms of the loan to see if this applies to you. You'll probably have to speak to the lender and provide a copy of the borrower's death certificate, perhaps along with some other paperwork. For example, SoFi is a private lender that does release the cosigner in the event of a borrower's death. However, many other private student loan lenders do not. A few private lenders offer forgiveness if the primary borrower becomes completely and permanently disabled. More lenders offer forgiveness for death than for disability; if your lender doesn't offer forgiveness for disability, your co-signer may still be on the hook for paying back the debt. It is illegal for a school to, for example, promise a certain salary on graduation, or a certain type of job, or make other false claims that impel you to take out loans you otherwise would not have taken out. During the Obama administration, the Consumer Financial Protection Bureau and the United States Department of Education took a variety of legal actions against for-profit "colleges" that made these kinds of illegal promises. Corinthian Colleges campuses which were forced to close in 2015 after being crippled by fines for making false promises on a grand systematic scale for years, are the best known of this group, but there are others. If you took out Federal loans to attend a Corinthian Colleges school like Everest College, Heald College, or WyoTech, you are probably eligible for loan discharge. Although, under President Trump's Secretary of Education, Betsy DeVos, these programs have been consistently endangered (there is a lot of legal action, so the situation is very fluid as of late 2018). Although it's easier to get these Federal loans discharged, you may also be able to get your private debt discharged. For example, Corinthian Colleges gave out hundreds of millions of dollars in private "Genesis" loans. If you have one of those, you may well be eligible to have it forgiven under a recent settlement with the Consumer Financial Protection Bureau. If so, you should have received a letter detailing your eligibility and many have already received forgiveness. If you think you're eligible but didn't receive a letter, try contacting your loan servicer and asking — or call the CFPB and file a complaint. Although again, the situation is fluid as the Trump administration is hostile to the CFPB's mission and the agency is not necessarily functioning that well at the moment. Another good option could be to contact a lawyer who specializes in student loan issues and ask for a brief consultation to determine if you have a good case. Another well-publicized settlement is with DeVry University. The FTC sued DeVry University for a variety of deceptive practices, including a misleading claim that 90% of their graduates found employment in their field within six months of graduation, and another that DeVry University graduates would earn 15% more than graduates from other colleges. In 2017, they reached a settlement that included DeVry University agreeing to discharge private student debt that it had issued between September 2008 and September 2015. However, this doesn't include loans from private banks that you took out to attend DeVry University. Basically, if you attended a school that made fraudulent claims, there may be an avenue for discharge. But it's best to speak to a lawyer about your situation to see if there's a chance of moving forward. As you may have heard, a lot of debt taken out before the financial crisis and the Great Recession was sold around to other lenders with really shoddy paperwork practices. The National Collegiate Student Loan Trusts, a group of companies in Delaware, holds a lot of this old debt and has been known to sue borrowers to collect this debt. In the process, it has been seen in some cases that they may not have been able to prove they really own the debt due to missing paperwork — which means it's not collectible. Last summer the Consumer Financial Protection Bureau forced an agreement whereby an independent auditor is supposed to be checking all 800,000 or so private loans held by the National Collegiate Student Loan Trusts to see what they can actually demonstrate. In the meantime, they've had to drop a couple thousand lawsuits against borrowers and even refund money paid on loans earlier. Keep an eye on this story, especially if your private loans are older debt from before 2007 that may be held by the NCSLT. Again, talking to a lawyer is probably not a bad idea if this sounds like it might be your situation. We have a whole article on "what to do if you can't afford your private student loans," so check that out for the longer version. This is a temporary status that allows you to put off paying back your loan for a specified amount of time (usually up to 12 months). Typically, you have to show that you have financial hardship or that you have lost a job recently. And interest will keep accruing while you're in forbearance, too. So it's not great. But it will give you time to get yourself together and prevent you from going into default. If you have enough income to make payments, but are struggling under the weight of the payments you have, you might be a good candidate for refinancing your loans. Private student loans often carry very high interest rates, and if you could reduce a 9% or 12% interest rate to a 3% or 4% interest rate, you could make your payments far more manageable. You might also be able to stretch out the term of repayment (from 10 to 20 years, or some other number), which might make it more plausible that you can afford regular payments. Compare the top lenders in minutes by using a service like Credible. 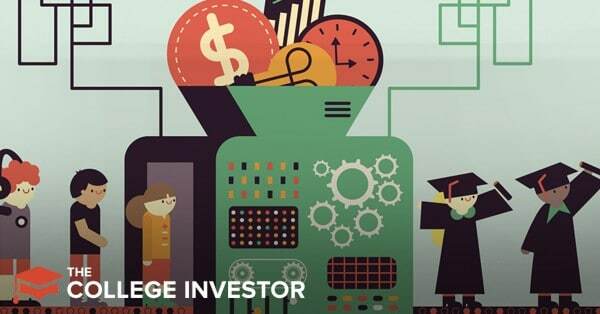 Plus, College Investor readers can get up to a $1,000 bonus if you refinance. The bottom line is that private student debt is really hard to get out of. You have fewer legal protections than Federal student borrowers do, and procedures for appealing and fighting back against your lender that are less clear. But if you attended the for-profit institutions represented by Corinthian Colleges and DeVry University, you may have some other avenues for relief. However, when it comes to getting help with your private loans, make sure you don't fall for these common student loan scams. There are a lot of people that prey on student loan borrowers who are struggling financially. If your problem is that you got a legit degree but your income just isn't up to meeting the loan burden, you'll probably have to pursue other options like forbearance or refinancing instead of hoping for forgiveness. It's bad news, but unless the law changes on bankruptcy discharge, it's the truth. You can also look at side hustling to boost your income as well. Here's a list of the best side hustles that allow you to earn a decent income on your terms. Since you never enrolled, the student loan should have been returned to you via a refund check – which you could have used to repay the student loan. What happened to the money?